Gee, I sure put on the miles in 2011. Besides traveling all over the world to run (Antarctica, Washington, Chile, New York, Colorado amongst other locations for work travel), I happened to look up how much I had actually ran or cycled this year - my main two cardiovascular activities. And the total is a staggering: 2014 total miles. And this doesn't count a perhaps last run or bike ride this afternoon. (I'm posting this at 2:30 on Dec 31.) That's up 300 miles from 2010! All told, I ran or biked for 240 hours - basically a week and a half. Over 1700 of those were running miles. Statistics are an easy way to talk about one's main hobby, and I suspect they wrap up the package nicely into something digestible. 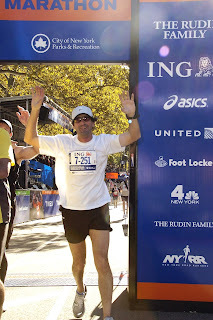 So, let me try to put some prose against this year and highlight my 11 favorite running moments from 2011. For the first time in years, I spent a number of days in the Seattle area. 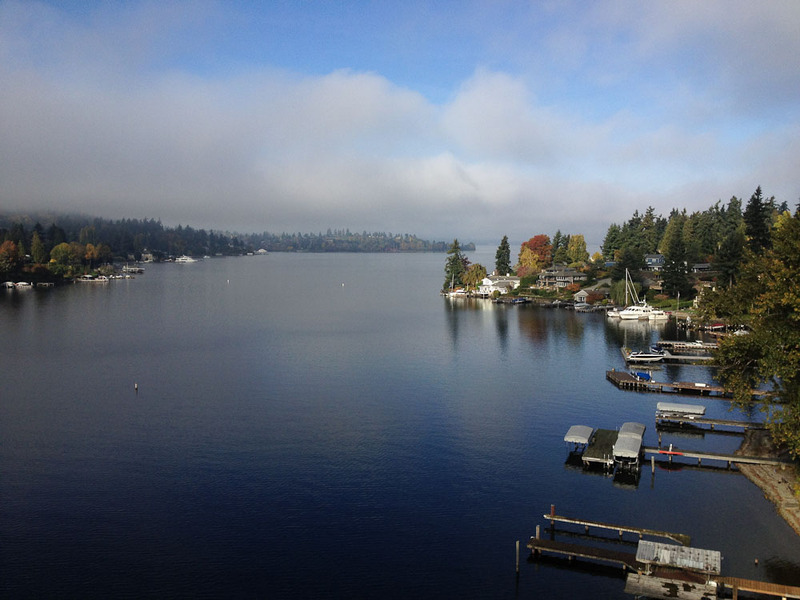 I've gotten good at finding local trails by searching online (more on how to do this in a future post), and Bellevue revealed a wonderful "Lake to Lake" urban trial that treks between Lake Washington to Lake Sammamish. This path connects a series of parks including some fairly wooded areas. While you go on and off of city sidewalks, the overall effect is great. I ran to both lakes on different occasions. 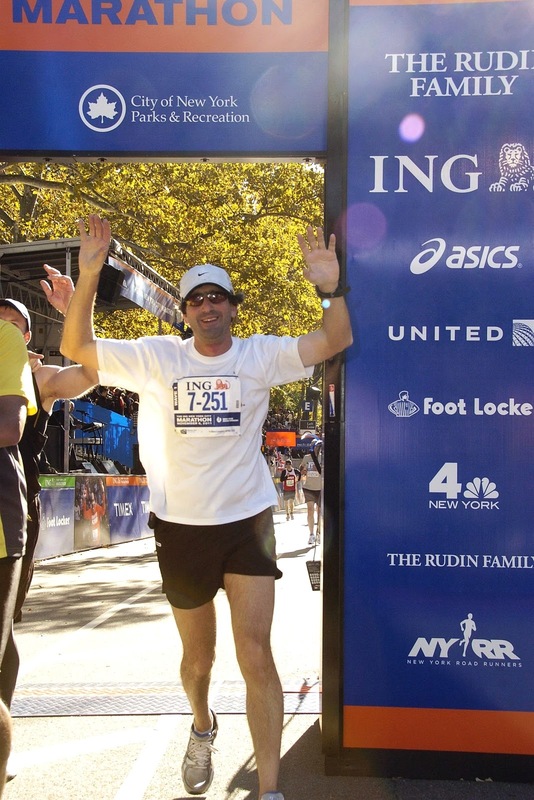 I ran 5 marathons or longer in 2011 (including one 31 mile ultra). The craziest was March's LA Marathon. It poured and poured. And guess what? I ran my fastest LA time out of the 3 I have done. It turns out you can only get so wet. This was part of three marathons I did in less than 60 days - all of which featured rain at some point and allowed me to join the Marathon Maniacs group. My South American trip in October included three days in Rio de Janeiro. After climbing Sugar Loaf, I had to follow that up by running along the fabled Ipanema and Copacabana Beaches. Happily, I hit a holiday, and all traffic near the beach was diverted, so it wasn't hard to bang out 8 miles in the sun amongst relaxing locals. Of the 5 marathon races in 2011, two were what I would call non-standard marathons. Antarctica was a muddy, windy trail run that I loved every moment of (see below). May's race in Seattle was a 31 Mile (50k) ultra. The three others were street marathons - LA Marathon, Maraton del Bio Bio (in Los Ángeles, Chile) and the NYC Marathon. I ran all of these between 3:34 and 3:38 times. Combine that with two sub 3:40 races in 2010, and I put up 5 great, consistent times over two years. I started running for myself in 2006 - I wanted to lose weight, get in shape and develop a hobby. These past 5 years of running have been some of the happiest in my life. What makes them more special is hearing about people who have read this blog or been told about my adventures by friends. Every now and then, I will get an email from someone writing about how they started running because of me. I never try to convert someone - it's too hard to stick with it if you do not like it. But when someone gets the bug, I am there to cheer them on. In fact, I get re-inspired by people who feel I have inspired them. How cool is that? While I wrapped up my Activision career in December, one awesome part I will miss is the newly created running club. I developed friendships with co-workers that has lead us to plan running events outside of work. And I'm still invited to join on Monday evenings when I am in town. I rarely ran with anyone else before, but I found that I enjoy sharing the runs with others. Everyone worries I will try to run too fast, but in fact, I'm very happy to be much more relaxed and casual than I am by myself. It's allowed me to find another layer of enjoyment in my passion. 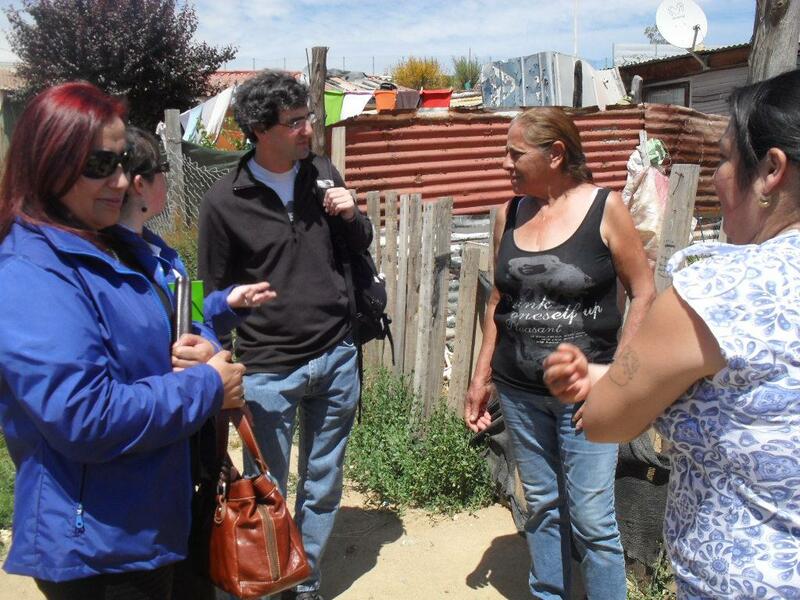 Chile: Speaking to two local parents supported by Children International. The empty 405. All of West LA looked like this. 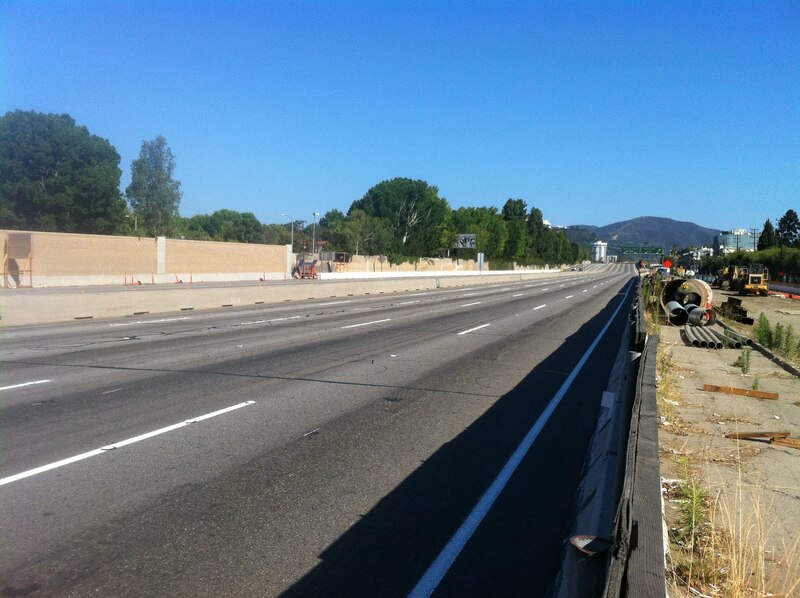 In July, bridge work closer the major north-south freeway in West Los Angeles, Interstate 405. Feared to put all of the city in a state of gridlock, politicians, actors and community advocates urged Los Angelenos to stay home. And guess what? Most people did. So, all the roadways were wide open. I took advantage and ran all over the westside. I even ran fabled Sunset Blvd to the beach and then a few miles on the Pacific Coast Highway. The 405 closing happens again in June 2012; I hope for a repeat of a great day! Most interesting part of the run - students measuring pollution levels near the freeway to compare to a normal Saturday a few weeks later. This year saw my family and friends come out at a number of races. I've gotten better about accepting this request, and the November NYC Marathon was particularly fun as I had support at two different spots on the course. It helped that the day was gorgeous, but my parents and friends didn't mind being there in the rain at the LA Marathon in March either. Rebecca was there at the finish of Antarctica too trying to not get blown away by the 40 mile gusts. And speaking of the white continent, running there was incredible. I've written all about it. (Click here.) So, not much more to say other than that the bloom has not come off the rose. I suspect it never will. This one is sort of obvious. 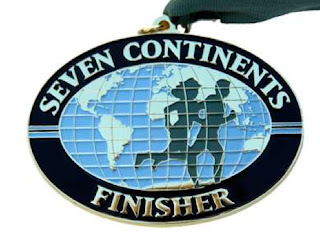 In 2008, I set a goal to run a marathon on all 7 continents by the end of 2011. And indeed, I pulled it off. The goal has no meaning outside of a personal accomplishment. (In fact, some people even debate the count of 7 continents; are Asia and Europe really separate?) Still, it's cool to be one of less than 2000 people to do something, but the journeys were as great as the runs. I met amazing people, and I had amazing vacations along the way. I still haven't decided what to "do" next other than keep running. I have 5 marathons planned between now and July (starting with Xiamen China on January 7), so we'll see what I come up with. Whatever the goal, having fun and sharing it will be key components. Happy New Year to everyone. Thanks for reading the blog and cheering me on; I'm cheering you on in return in whatever endeavors you enjoy.